Brian Williams may lose his seat as anchor of the "NBC Nightly News," but executives are looking for a way to keep him at the network in a new role. There are any number of possible outcomes. Several of the sources said Williams could end up leaving NBC altogether following a financial settlement. But another possibility, and the one advanced in recent discussions, involves a new role for Williams. "Andy's contorting to figure out a way to keep Brian," one of the sources said. One of the sources described employee meetings where Lack asked attendees to "think creatively" about a new role for Williams. To some people in the television news industry, this is reminiscent of NBC's ill-fated attempt to replace Ann Curry on the "Today" show in 2012. Curry was pushed into a "anchor at large" role and was marginalized for the remainder of her contract. But Williams is a bigger and better-paid star, which raises the stakes for all involved. Keeping him in the fold would avoid a potentially messy public breakup; then again, some people inside NBC feel that his presence on the air would tarnish the network. A gradual return to NBC is one scenario suggested by sources close to Williams. After a thorough explanation and apology for past embellishments, he could file news reports and regain viewers' trust. Or he could exit the network altogether -- a scenario that some people continue to believe is quite likely. In that case, Williams would likely be paid a significant portion of his contract, which he signed at the end of last year. It was reportedly worth about $10 million a year for five years. 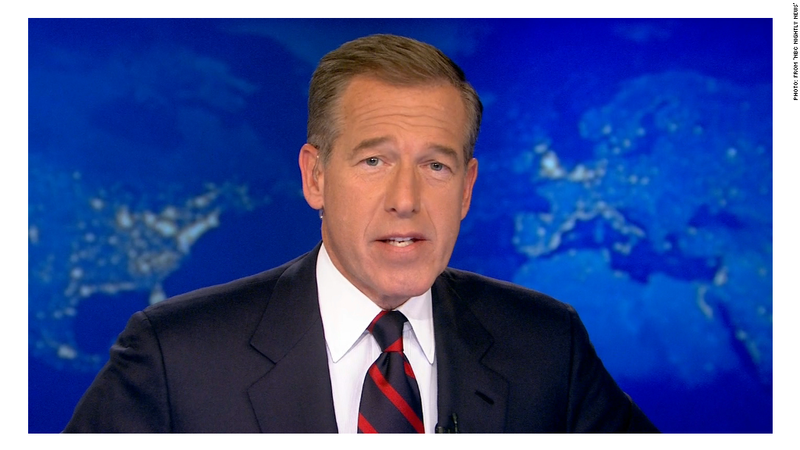 A settlement would give NBC some assurance that Williams wouldn't publicly criticize the network. Representatives for NBC and Williams declined to comment on Sunday. All of the sources for this story spoke on condition of anonymity because, as one of them said, "nothing has been determined." In the meantime, speculation about Williams' fate continues to run rampant inside the television news industry. Many people both inside and outside NBC are surprised that the deliberations have dragged on for this long. Williams was the most-watched nightly news anchor until February, when he was suspended for six months amid an internal investigation into storytelling exaggerations. The internal investigation turned up a number of other misstatements and exaggerations. NBC correspondent Kate Snow, for instance, traveled to New Orleans to check out Williams' claims about the aftermath of Hurricane Katrina. One source said in April that at least 10 cases of embellishments were flagged by the in-house investigators, but the network hasn't confirmed anything about it. Meanwhile, Williams has been unable to defend himself, since he's under contract and NBC instructed him not to speak publicly. The controversy has been profoundly embarrassing to NBC News and its parent company Comcast. One month after suspending Williams, NBCUniversal CEO Steve Burke removed the executive in charge of the news division, Pat Fili-Krushel, and brought in Lack, who previously headed up NBC News in the 1990s. Lack and Williams had a close relationship, which prompted speculation that Lack would seek a way to bring Williams back to "NBC Nightly News." Doing that, however, risks further destabilizing "Nightly News" and offending Lester Holt, who has been widely credited with filling the void created by Williams' suspension and holding onto most of Williams' viewers. Whether Williams stays at NBC in some capacity besides "Nightly News" anchor, or whether he leaves the network, Holt will remain at the helm of "Nightly News" for the time being, the sources said.